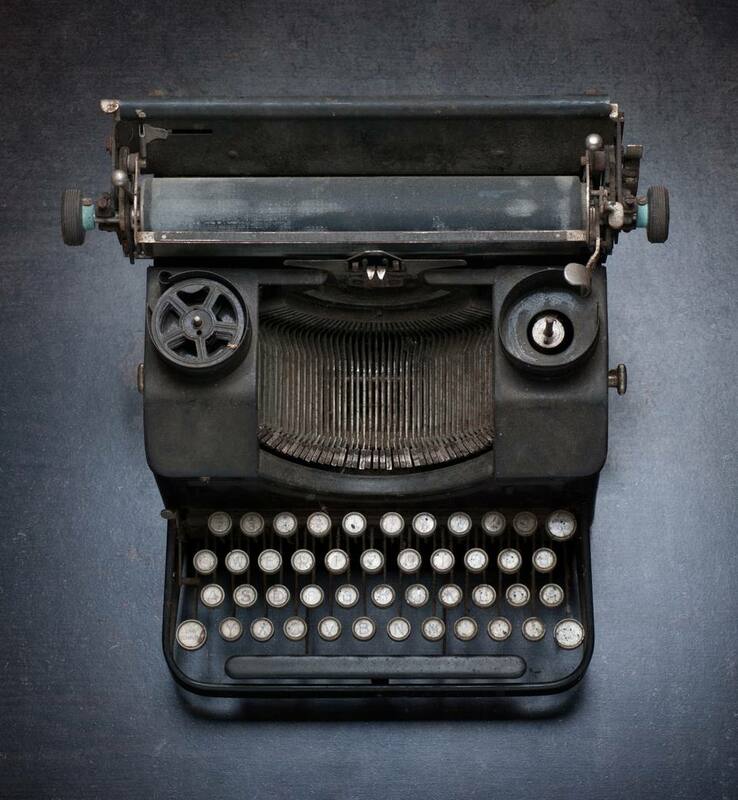 While typing away on a smartphone, tablet, or laptop, it's easy to forget that it wasn't too long ago when typewriters were the only word-processing machine available. They're thought to be a staple of 1950s and '60s offices, but the history goes back much further than that—all the way to the late 1500s, when Italian printmaker Francesco Rampazetto invented a machine to impress letters on paper known as the scittura tattile. Although typewriters are a relic of a bygone era, aficionados enjoy collecting them, whether for whimsy or for their value. Actor Tom Hanks is among the celebrity collectors known to fancy old typewriters, and he reportedly keeps one on hand for note-taking. While all typewriters might have sentimental value, only certain antique or vintage typewriter models can fetch a hefty price. Inventor Henry Mill filed the first patent for a typewriter in 1714, but his idea never truly came to fruition. From there, a number of people reportedly manufactured the "first" typewriter, including Agostino Fantoni in 1802, Pellegrino Turri in 1808, and Pietro Conti di Cilavegna in 1823. However, none of the models were commercially produced until 1870 when the Hansen Writing Ball was debuted. Hansen Writing Ball: The first commercially sold typewriter was used in Europe as late as 1909. The success was due to the placement of the keys, which put the most frequently used letters were the easiest to reach, making using a Writing Ball faster than writing by hand. Sholes and Glidden typewriter: America's first commercially successful typewriter was the first to actually have the name "typewriter." It was produced by E. Remington and Sons and featured the now-standard QWERTY keyboard layout. Index typewriter: Prized by some because of its lightness, the index typewriters never truly took off because they were slower than other models. These machines, the most popular of which was the Mignon produced by AEG, used a stylus to choose a letter from an index. Electric Blickensderfer typewriter: One of the first electric typewriters, the 1902 Blickensford model used a cylindrical typewheel instead of singular typebars. However, this particular model wasn't a commercial success. Typewriters manufactured after 1920 are generally considered "vintage" rather than "antique." Electromatic Model 04: Produced by IBM in the early 1940s, this model introduced proportional spacing, which would become a staple component of IBM typewriters. IBM Selectric: The IBM Selectric, introduced in 1961, was the first to feature reverse-image letters on a small typeball and used a system powered by an electric motor that struck the letters against the ribbon and platen. It would become the most popular office typewriter for the next two decades. Electronic typewriters: In the late 1970s and early 1980s, as the use of the typewriter began to fade, electronic typewriters debuted. The electronic memory and display allowed a user to see and correct errors before the page printed, making these models early forms of the word processor. Collectors looking for antique or vintage typewriter models can typically identify them by the brand name that's stamped on the front of the machine, though determining the exact year it was produced can be difficult. By obtaining the serial and model number of the typewriter, a collector might be able to determine the age of the machine. Not all typewriters, even vintage models, are valuable. Generally speaking, the older the typewriter, the more valuable it is. Machines made between the 1950s and the 1980s don't fetch a high price because they're easily found at thrift shops, flea markets, and other secondhand buying locations. An exception: Typewriters made during WWII aren't commonly found but are highly valuable because of their historical significance. Typewriters that were made in the 1940s or earlier, especially those manufactured in the 19th century, may be worth some money if they're still in working order. Non-working antique typewriters are typically worth about $50, but refurbished models can earn $800 or more. Condition: Typewriters in mint condition that are free from paint scratches, worn labels, or metal pitting typically go for top dollar. Additionally, machines that have been refurbished usually fetch a higher sum. Font: Most typewriters used a standard font, but there's a market for models that had special fonts. The "Vogue" font is the most sought-after, while cursive fonts come in second. Country of origin: European-made typewriters are more valuable in America than domestically made models, particularly those that weren't largely exported to the U.S. Size: Portable typewriters are typically more valuable than desktops, which are heavy and large.